Pink Snails ... of course! 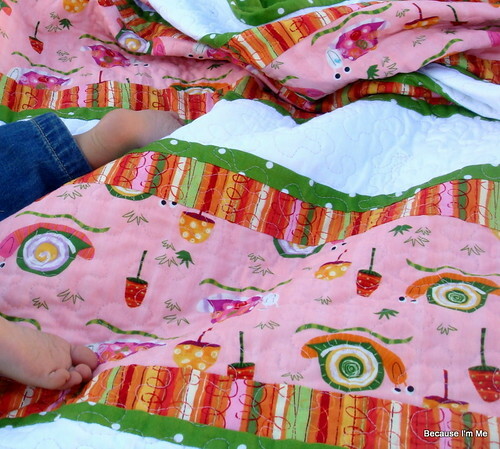 One week I went nuts and made 10 small quilt tops, all crib/lap size. 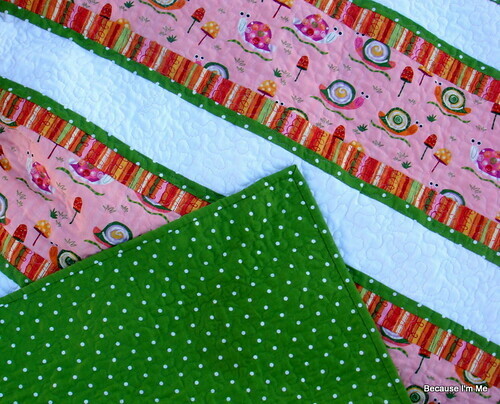 Since that week I've been trying to make all the tops into quilts and I'm s-l-o-w-l-y getting them completed. Very, very s--l--o--w--l--y. But at least I have a good helper, making sure the quilts are comfy enough for a sweet baby. If you can't tell, those are some really kissable feet. The front of this quilt uses an Amy Schimler Creatures and Critters print, which I absolutely love, with a green polka dot (from a sheet) and an Amy Schimler coordinating stripe. The white is a Kona cotton. The back is green polka dot. 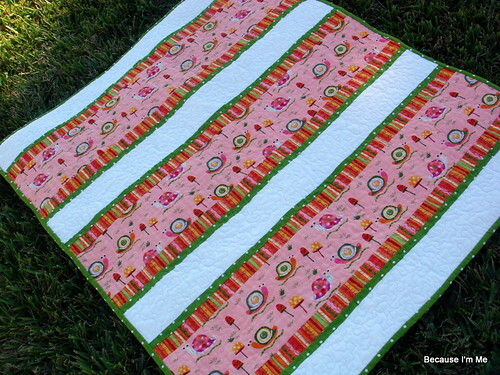 The quilting is done with a pale pink thread with meandering free-motion stitches. I wasn't sure how the pink would work on the white fabric but in the end I was really happy with it. More baby feet. He tried his hardest to be in every picture I took! 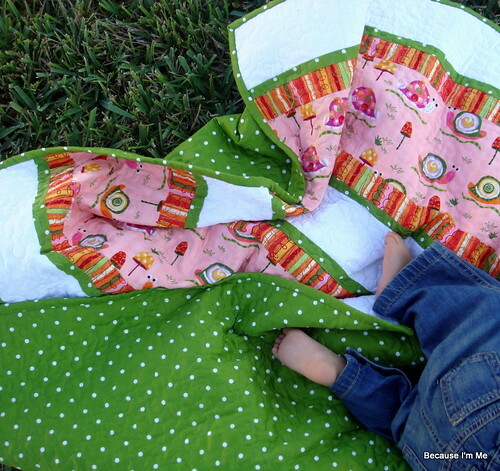 i love this quilt, great choice of fabrics!